The Screen Actors Guild Foundation broke ground on the final stage of its New York home Tuesday. 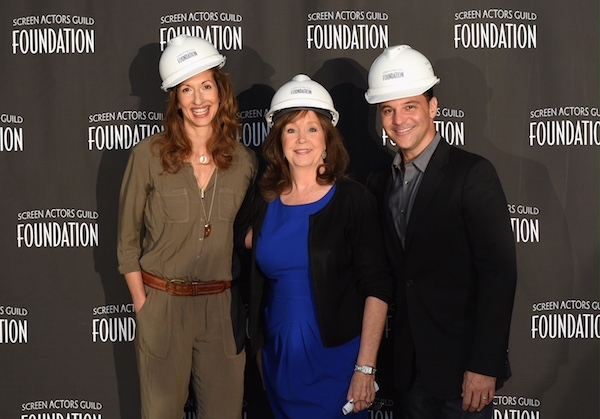 The ceremony marked the beginning of work on a 4,000-foot space on the ground floor at 247 W. 54th St. that, when completed, will house screening, performance, and education facilities for the SAG Foundation Actors Center in New York. Wilson put ceremonial shovel to dirt alongside SAG-AFTRA National Executive Director David White, SAG Foundation Treasurer Maureen Donnelly, SAG Foundation board members Rebecca Damon and John McGuire, and SAG-AFTRA New York Local President Mike Hodge. Jonathan Denham and Paul Wolf, co-presidents of Denham-Wolf Real Estate, which procured the space for the foundation, also attended. Phase one of the New York Actors Center—which included a classroom, on-camera lab, computer lab, and the Entertainment Industry Foundation Voiceover Lab located at 1900 Broadway—was completed in 2014. The West 54th Street second phase will be designed by Rogers Partners Architects+Urban Designers. Fisher Dachs Associates will serve as theater consultant for the project. SAG Foundation served more than 12,000 SAG-AFTRA actor members in the New York with more than 500 free workshops, classes, and panels in 2014.